Minnesota has a love affair with its lakes. Unfortunately, a disproportionate number of its citizens lack the skills to safely participate in water-related pastimes. 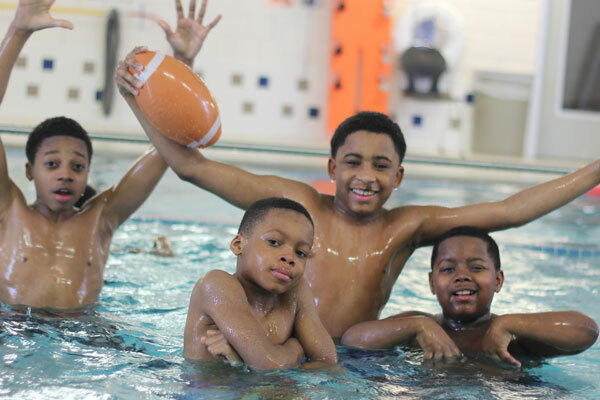 The Harold Mezile North Community YMCA Youth & Teen Enrichment Center wants all families to safely enjoy Minnesota’s aquatic pastimes. To make this possible, we regularly hold FREE large-group water safety courses that include boating safety and survival swim-strokes, as well as swim lessons for all ages. In 2013, we provided free water safety courses to 600 children and adults. When Adrian joined the Youth Staff team, he couldn’t swim and avoided going onto the pool deck. However, with the encouragement of his colleagues in Aquatics, he confronted his fears and started swimming lessons at the beginner level. Today, Adrian regularly swims with the kids and has even achieved his lifeguard certification.